This event ended on 21 June, 2018. Taking on the big issues, three films from three exciting new filmmakers will be screened for the first time at ICE at 6pm on 21 June. Rashmi Ravindran, Gary Paramanathan and Vonne Patiag launch their short films exploring themes of cultural diversity in the creative sector. Through documentary, these Parramatta filmmakers tackle themes of inclusion, exclusion and cultural diversity in the arts and screen sectors. RSVP through Eventbrite or by emailing to info@diversityarts.org.au or phone 02 8821 9169, www.diversityarts.org.au. You can also join the conversation via Facebook live. Listen to the SBS radio coverage. Listen to the SBS radio coverage in Malayalam. Listen to the coverage on FBi radio. The story has also been covered on SBS World News. The arts are widely perceived as being an inclusive and accepting working environment, but short films exploring cultural diversity and inclusion in the arts world are revealing a different picture. Professor James Arvanitakis is the Pro Vice Chancellor (Research and Graduate Studies) at Western Sydney University (WSU). A lecturer in the Humanities and a member of the University’s Institute for Cultural and Society, he founded The Academy at Western that received an Australian Financial Review higher education excellence award (2016) and the Western Sydney Leadership Dialogue Engagement Award (2017). A regular media commentator, he has over 100 publications, and his research includes future of universities and citizenship. He works closely with artists to document their work and writes how artists have become the social conscious of the contemporary world. He is the Chair: Diversity Arts Australia, a Board member: Public Education Foundation, Academic Fellow: Australia India Institute, Associate Vice Chair: Global Listening Centrea Fellow: Centre for Policy Development and on the Advisory Board Member: Herbert and Valmae Freilich Foundation that confronts racism and bigotry. Roanna Gonsalves is the author of The Permanent Resident (UWAP) which won the NSW Premier’s Literary Award Multicultural Prize 2018, and is longlisted for the Dobbie Literary Award 2018. Her writing has been compared to the work of Alice Munro and Jhumpa Lahiri. Her book has quickly found a place on a number of lists of must-read books, and is on the syllabi of courses at several universities. Roanna is a recipient of the Prime Minister’s Australia Asia Endeavour Award, and a co-founder, co-editor of Southern Crossings. She has a PhD from the University of New South Wales. The Permanent Resident is published in South Asia as Sunita De Souza Goes To Sydney (Speaking Tiger). What makes an artist, especially when their art form is unheard of for most? Sumati Nagpal, an accomplished Kathak dancer, teacher and choreographer, discusses her love of Kathak, a classical Indian dance tradition and her journey to mastering the practice, and opening a dance school in Harris Park. Shading is a short documentary that explores current white-washing practices of the Australian film and theatre industries that are unfamiliar with the nuances of darker shades of ethnic skin. Three POC performers share unheard stories of on-set racial prejudice and the effect make-up and lighting has on leaving them unrecognizable even to themselves. First Impressions traces the journey of three first-generation migrant artists in Australia. 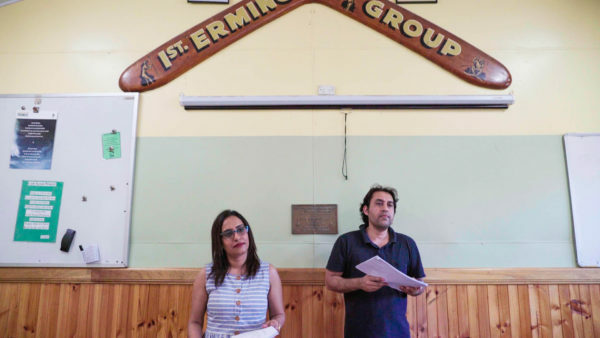 The film explores the work of writer Roanna Gonsalves, actor and theatre producer Neel Banerjee and creative producer Jiva Parthipan and highlights some of the challenges these CALD artists have faced, and how their position as migrant artists has informed their art. Event will run until 7.30pm. Join us after the launch to meet the filmmakers, network and share some refreshments. If you are unable to attend the launch event, we will be doing a Facebook Live event. Stay tuned on our Facebook page and launch event page for more updates. Auslan interpreting will be provided. Venue is wheelchair accessible. Please inform us of any additional accessibility needs, including interpreting in languages other than English, which we will seek to meet.